The Philippines is expected to move further towards urbanization as it grows and develops. Unfortunately, its solid waste infrastructure is unable to keep pace with the economic and population growth. Inadequate, over-filled dumpsites and landfills are causing various health and environmental problems. Some of the serious environmental risks caused by waste overflow landfills are ground and surface water contamination, flooding, greenhouse gas production, air pollution, exposure to toxins and spread of disease. Many disposal sites across the country contain infectious material, threatening sanitation workers and waste pickers and, eventually the general public. Tests of liquid runoff or leachate from Rodriguez and Payatas dump sites were found to contain high levels of contaminants. Most of the leachate seeps untreated into groundwatersources of drinking water and flows to the Marikina and Pasig River systems and Manila Bay. Landfills and dump sites, despite government’s efforts to situate them in areas far from population centers, still pose a threat to the health and the environment. A lot of wastes, about one-third of solid waste generated in the cities, are often dumped indiscriminately and often end up clogging the drains, causing flooding and increase in the populations of rodents and other pests. 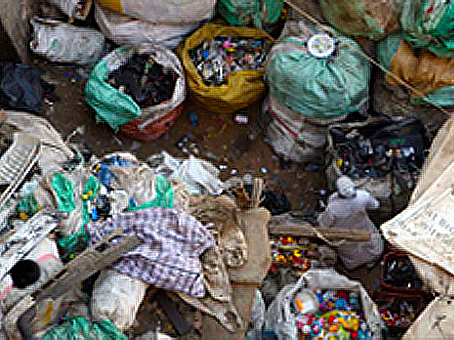 The urban poor suffer most from life-threatening conditions resulting from uncollected garbage. In this age of digitalization and technology, one of the innovative solutions for solid waste management is decentralization using pyrolysis technology. Pyrolysis is coined from the Greek terms pyro or fire and lysis or separating. It is the industrial process of breaking down large molecules of waste such as agricultural residues, scraps, tires, and non-recyclable materials into smaller molecules of gas, oil and carbon black. One of the by-product of pyrolysis technology is ash which can be mixed with aggregates for construction purposes. Most importantly, people should realize that they play a huge role in solving the massive garbage problem in the Philippines. It should be the country’s goal to create an environment free of garbage, minimizing of waste disposal to landfill, educating the community and make them aware of their roles and responsibilities, and to involve the business community in solid waste management.